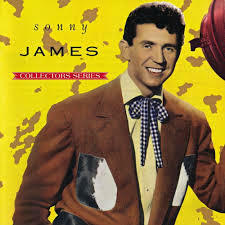 Sonny James, who appeared in the classic 1967 movie Hillbillys in a Haunted House, was also one of the most popular and endearing country singers of the late 20th century.
" target="_hplink"> "Young Love," an enduring ballad that brightened the spring of 1957 for many a teenage heart. He had to share the success of "Young Love" with Hollywood hunk Tab Hunter, who recorded it around the same time and had a slightly bigger pop hit despite the fact James was a wonderful singer and Hunter couldn't sing at all. But even though it would be years before James climbed back onto the charts, he apparently took a very valuable lesson from the Hunter experience. Just because someone else recorded a song, and had a hit with it, doesn't mean you can't have one too. From late 1964 to late 1972, James had one of the greatest chart runs ever, with 21 of his 25 country singles shooting to No. 1. That included 16 in a row, which just doesn't happen - and it especially doesn't happen when almost all of those songs were remakes of past hits recorded by someone else. James took songs like "I'll Never Find Another You," which had been recorded by the Seekers, or Roy Orbison's "Only the Lonely," and played them the way someone might play a favorite song in their living room. Nothing fancy, no dramatic new arrangements. This wasn't Ike and Tina Turner remaking "Proud Mary." James just sang them straight in his own pleasant voice, with a bit of Alabama twang. And on the radio, in your car or your truck, they were just what you wanted to hear. James had more than a touch of the Nashville Sound in his music, not surprising considering one of his first music-biz pals was Nashville Sound architect Chet Atkins. So James songs weren't hard country, with the sawing fiddles or the crying pedal steel. 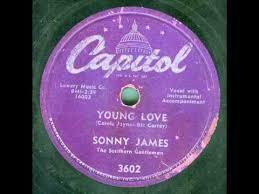 They were smoother, and while they were definitely country, it was also clear that James never lost his fondness for the more pop sound we heard all those years earlier on "Young Love." 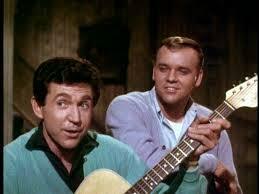 In fact, James never lost his fondness for the whole range of music that made up the marvelous rainbow of the 1950s. Some of his hits in that 16-record No. 1 streak included "Since I Met You Baby," from Ivory Joe Hunter, Brook Benton's "It's Just a Matter of Time" and the Jimmy Reed blues classic "Bright Lights, Big City." 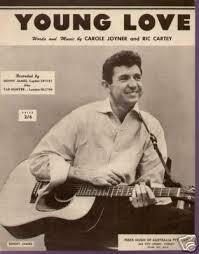 None of those were "country" songs, except when Sonny James sung them, they were. He would later record songs from "In the Jailhouse Now," a 1920s hit for Jimmie Rodgers, to "When Something Is Wrong With My Baby," better known from the soul version by Sam and Dave. James's last charted single was a song he wrote himself, titled "A Free Roamin' Mind." James also was one of the relatively rare artists who decided to hang it up while he still had time to kick back and enjoy the rest of his life. 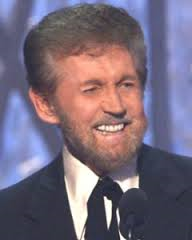 He retired in 1984 at the age of 55, surfacing mostly to accept honors like his 2007 induction into the Country Music Hall of Fame. Nicknamed The Southern Gentleman, James was never a flamboyant personality. He was a music professional who also got into publishing and production, where his work included Marie Osmond's 1973 million-seller "Paper Roses." So despite his remarkable chart success, he was sometimes overlooked in a field that had more than its share of higher-profile artists. Still, he played for years on the A-level circuit, from the Grand Ol' Opry and the Louisiana Hayride to The Ed Sullivan Show, Bob Hope and Hee Haw. Besides Hillbillys in a Haunted House, above, where his fellow performers included Basil Rathbone and Lon Chaney, he also appeared in Las Vegas Hillbillies with Jayne Mansfield and Second Fiddle to a Steel Guitar. James Hugh Loden was born in Hackleburg, Ala., on the eve of the Great Depression. His mother and father were farmers who toured on weekends as amateur musicians, and they soon incorporated and young Sonny and his sister Thelma into a group logically called The Loden Family. Sonny made his stage debut in Birmingham at the age of 4. The story, apocryphal or not, is that Kate Smith was in the audience and gave the young boy a silver dollar. He took to music, learning both guitar and fiddle. He and the family soon got their own radio show on WMSD in Muscle Shoals, Ala., and they continued to play around the South for years, on the radio and in local venues. The family group broke up when James was 20, by which time his solo gigs including often hosting Ozark Jubilee, a famous country radio show out of Missouri. He served in the Korean War and when he was discharged he got together with Atkins, who introduced him to famed Capitol Records producer Ken Nelson. He met Slim Whitman at the Louisiana Hayride and sang vocals with Whitman's band for a couple of months before going out on his own and scoring some modest hits before "Young Love." He married Doris Shrode in 1957, around the time "Young Love" was a hit, and their young love lasted more than 58 years. She survives him.